With 2019 in action, you’re likely seeking ways to improve your operations and build on what you did last year. Maybe growth is in the forecast, or maybe you need to scale back. Whichever the case, you’re looking for ways to work smarter, not harder. How can you save time and money in 2019? One of the smartest steps to take may be to partner with a Canadian professional employer organization (PEO). There are many ways a PEO partnership could help you achieve your 2019 business goals. One of the best reasons to work with a PEO is to gain valuable insights and expert knowledge about your industry. A Canadian PEO may have more experience or understanding of the local market for your products and services. They also have better knowledge about the job market for international operations. Getting this expertise on your side is one easy way to make sure you’re working smarter. If you’re expanding your company into Canada, you might already be aware of some of the issues surrounding risk and compliance. How familiar are you with the legal requirements around hiring an employee or terminating employment in Canada? Again, the PEO’s expert knowledge is invaluable to a company operating in multiple markets. Having this knowledge at your fingertips makes it easier than ever to manage risk and ensure compliance. Payroll is one of those important, yet time-intensive tasks that can bog down your business operations. If it’s not done on time or correctly, you could find yourself in trouble with the Canada Revenue Agency. Payroll also takes up your valuable time, however, and since it must be done regularly, it ends up distracting you from your core tasks. 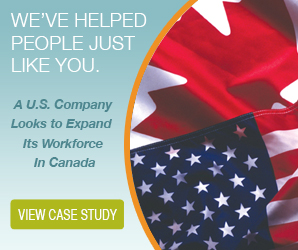 When you work with a Canadian PEO, you can get back to business sooner. You’ll also have peace of mind knowing the PEO will handle payroll correctly and efficiently. Another way a Canadian PEO can help in 2019 is by filing your taxes. Like payroll, business taxes can take up a lot of your time, and they can cost you if you’re not careful with them. Call on the PEO’s expertise again. Their experience is an asset as they prepare your taxes, file on time, and ensure remittances are sent in before their deadlines. With the tax burden off your plate, you can turn your attention to growing the business instead. Offering benefits to your employees is a smart business move. It can also be a make-work project, particularly if you don’t have a PEO partnership to help you stay on top of the administration. Changing regulations and benefits plans translate into benefits administration that can take more time than you’d like. A PEO can handle the paperwork and track compliance so you don’t have to. Better yet, the PEO may even be able to offer access to better plan pricing for small businesses. Workers’ compensation may be another area you’re concerned about, especially if you’re expanding into a foreign market. You may not be aware of the requirements your business will need to meet. A PEO can take this concern off your shoulders, handling the process from end to end. How does a PEO make your HR operations so much simpler? One way is by using the latest technology. If you’re not sure you can or should invest in a new HR system, partnering with a PEO may be your best bet. There are so many ways a Canadian PEO can help you work smarter this year. Get in touch and discover what the HR experts can do for you. How Does PEO Payroll Work? You’re busy as your business expands across borders, into new territories and markets. You have a lot on your mind and on your plate. Even your talented HR staff are starting to feel a little overwhelmed as they look after both your domestic employees and those in other countries. You have a few options for resolving this situation. You could hire more HR staff to help, or you could look at outsourcing some of your tasks. One of the most common jobs to outsource is the payroll process. What is payroll process outsourcing? Like other types of outsourcing, this involves sending your payroll activities out of house to a third-party provider. If you work with a professional employer organization (PEO), they’ll look after all of the payroll activities related to the employees under their jurisdiction. How exactly does PEO payroll work, and is it the right choice for your business? When you work with a PEO, you’ll be sending many different HR tasks over to them, including your payroll activities. Essentially, you’ll partner with the PEO to look after certain employees. In many cases, this will be those workers who are employed by your foreign operations. For example, if you have workers in Canada, you’ll partner with a Canadian PEO. The professional employer organization acts as the employer for these workers. The PEO is listed as the employer, collects and remits payroll taxes, administers benefits, and more. They may also be responsible for HR activities such as hiring, onboarding, and training. As the PEO’s role in these workers’ employment is almost all-inclusive, it only makes sense PEO payroll would be all-inclusive as well. What this means is that the PEO will handle the payroll process from the first step right to the end. You won’t need to worry about it, unless there are concerns or adjustments such as how to calculate vacation pay or how benefits are accrued. The PEO begins by ensuring they collect the employee’s information, including hours worked, rate of pay, classification, and other information pertaining to rates of taxation and accruement of benefits. The PEO will calculate and collect taxes, as well as ensuring benefits are properly calculated. Sick days and vacation days will be tallied and recorded as well. The PEO then pays the employee. They also remit payroll taxes to the Canada Revenue Agency and keep records. PEO payroll requires relatively little input from you and your team, which is why it’s such a great solution. It allows you to access the resources the PEO has at hand, including financing and expertise, to administer payroll for your international employees easily. You may want to check in with the PEO every now and then to ensure compliance with regulations and company policy. Your input might be needed around things such as rates of pay, policies about vacation time, or if there are changes to benefits. For the most part, however, the PEO looks after even these details. You’ll be required to pay the PEO for their services. Most often, this fee comes in the form of a percentage of your employees’ salaries. You may or may not be required to finance your employees’ salaries. The PEO often has access to their own resources, which they’ll use to ensure payroll is paid on time. Now that you understand how PEO payroll works, you probably have one more question. Is it right for your business? It could be. If you and your HR team are busy with other tasks or you’re concerned about compliance in another jurisdiction, a partnership with a PEO could be the payroll solution you’re looking for. Are you ready to expand your business into Canada? Maybe you’ve done some careful market research and you know the Canadian market is wide open for the product or service you offer. Perhaps you’ve heard from many Canadians who wish your business operated in Canada. Now you’re thinking about expanding to reach this as-yet untapped market. You’re not ready to open a branch office right now. Or maybe you want to test the waters. Perhaps you’ll open your doors soon, but you want to get the jump on things and start selling now. You can do this by hiring some Canadian workers. You can do that by working with a PEO. What does PEO really stand for? The term PEO stands for “professional employer organization.” This partner company will work with you to manage all of your human resources needs for your Canadian operations, including hiring and terminating employees, in addition to everything in between. As mentioned, a professional employer organization helps you manage all of your human resources needs in Canada. Whether you need to hire Canadian workers, administer payroll and benefits, or terminate someone or manage a leave of absence, the PEO is there to help you do it all. The PEO acts as the legal employer of your Canadian workers. You enlist the PEO to manage all of your HR needs in Canada. They consult with you about certain aspects of your operations, such as how many people need to be hired, in what capacity, and how much the position will pay. The PEO can also advise you on local law, on the job market, and who you need. How Does This Help You Get Started? You might wonder how working with a PEO gets you selling in Canada any sooner. After all, you could likely hire some Canadian workers yourself. Wouldn’t that have the same effect? As mentioned, the PEO handles all of your HR-related concerns for the Canadian operations. Since they have better knowledge of the rules surrounding hiring, paying benefits, and remitting payroll taxes, this can make your Canadian operations much smoother. Working with a professional employer organization is also a way to jumpstart your Canadian operations. By teaming up with them, you gain access to their network of resources. This includes their financing and insurance infrastructure, which can help you do things like pay your employees and insure your business operations. Another service a PEO partnership can offer you as you begin selling in Canada is good advice. This can be hard to come by. If you handle Canadian HR on your own, you’re more likely to make a few missteps. The PEO has a better knowledge of Canadian employment standards and the Canadian job market. They can tell you more about competition for certain types of sales people or specialists. They can also inform you about legal requirements for contract lengths and types of workers. When you expand your business into a foreign country, it’s unlikely you’ll know all the ins and outs of doing business there. The PEO helps you fill in the gaps in your knowledge so you can keep things running seamlessly. Should You Work with a PEO? The question you likely have now is whether or not you should work with a PEO. The answer is usually a resounding yes. If you’re planning to expand your business operations to Canada and you want to get started selling sooner, working with a PEO is a great solution. If you need access to financing or suspect you’ll need help conducting activities like payroll, it’s a good idea to bring a PEO on board from the very start. If you’re still not sure PEO services are right for you, talk to a provider today. They can help you assess your needs and get starting selling in Canada. 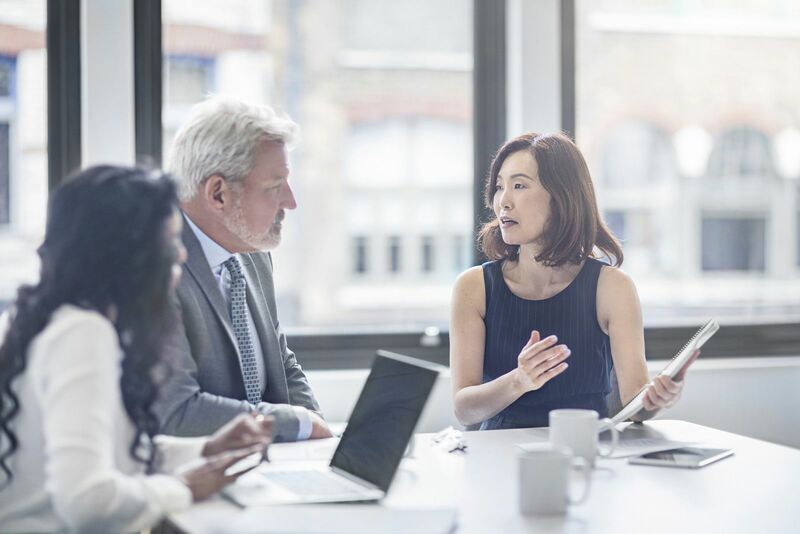 You’ve likely heard about professional employer organizations (PEOs) and how they can help your business operations in Canada or other international markets. You may have even considered working with one during your latest expansion. You may still be considering one for your Canadian operations. Whether you’re just expanding to the Canadian market in 2018 or you’ve had operations in the country for a while, bringing on a PEO is a great idea. Here are just a few of the practical ways a PEO can help you work smarter. People are one of a business’s most valuable assets, so it only makes sense you want to hire the best of the best for your business. 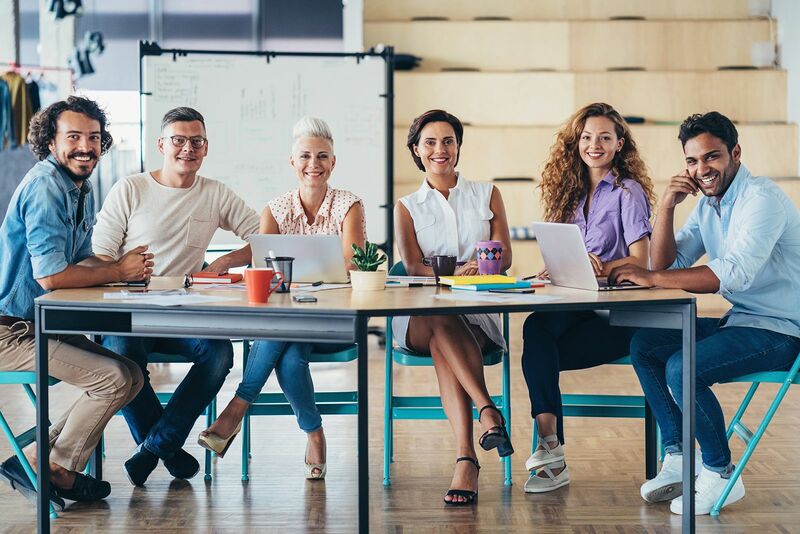 Attracting talent is tough in this market, however, as Canadian unemployment has hit a 40-year low and many industries are experiencing talent shortages. In addition to this, international firms often run into complications when it comes to hiring. They may not be familiar with local rules about hiring. Their processes, which work well at home, may also not be suited to hiring quickly in a foreign market. This is where the PEO can step in. The PEO can help you streamline your hiring process, providing the right technology and better access to the local job market. They’ll assist with tracking and assessing candidates. They can even conduct interviews and recommend hires, as well as help you navigate the complex legal waters around employment legislation. Another way a PEO can assist your business operations is by handling payroll. Like hiring, payroll in Canada can be quite different from what you’re used to in your home country. 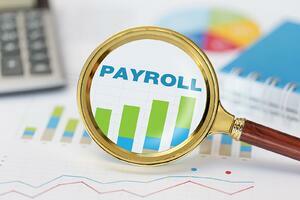 Different rules and regulations change the way payroll is handled. These differences can result in penalties or even an audit. Working with a Canadian PEO can help you avoid these issues in your payroll administration. Payroll will be delivered on time, in compliance with the rules and regulations. 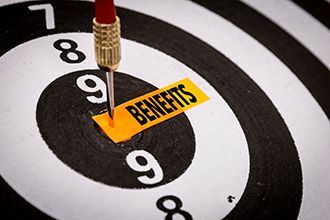 PEOs can also administer benefits to your employees. There are a few ways working with a PEO provides advantages here. The first is that the PEO is using an economy of scale to provide everyone with a better benefits package. PEOs often have responsibility for hundreds or thousands of employees, which means they’re purchasing for many more accounts. As a result, they receive better rates. The PEO may be able to offer better, more affordable benefits than you could on your own. The next thing is your PEO can help you actually administer those benefits with ease. They’re more familiar with the rules, so they’ll be able to select packages and structures that fit the needs of Canadian employees. Americans, for example, may find benefits options in Canada are structured quite differently, especially when it comes to healthcare. Perhaps the largest benefit a partnership with a PEO can offer any business is good advice and a great working relationship. The staff at the PEO are experts in their area, which means they’re in a good position to be able to provide you with guidance on any number of business activities. If you’re unsure about Canadian workplace legislation, how to go about hiring an employee or terminating one, or need assistance calculating vacation pay in different provinces, the PEO is there for you. They may be able to offer insights into business decisions that could help you run your Canadian business more efficiently. Working with a PEO can take many important, yet time-consuming, tasks off your desk. You can get your time back and focus on how to continue growing your business while the PEO looks after the rest. As you’ve expanded your business, both at home and around the world, you’ve likely encountered the professional employer organization, or PEO. You’ve been told the PEO can help you expand your business and operate more efficiently on the international scene. A PEO provides human resources assistance to firms, often offering services for everything from payroll to hiring to compliance monitoring. While assistance with all those aspects of your business sounds like a good thing, you’ve been managing fine thus far. If you’ve ever thought this, it’s time to rethink your stance. There are many different ways a PEO can help your business. Here are a few of the more surprising things a PEO can do for your business. Hiring the most talented people for your company is tricky at the best of times. When you’re hiring internationally, it can become even more complex. You might not be aware of all the intricacies of hiring and employment legislation in the country or jurisdiction you’re hiring in. 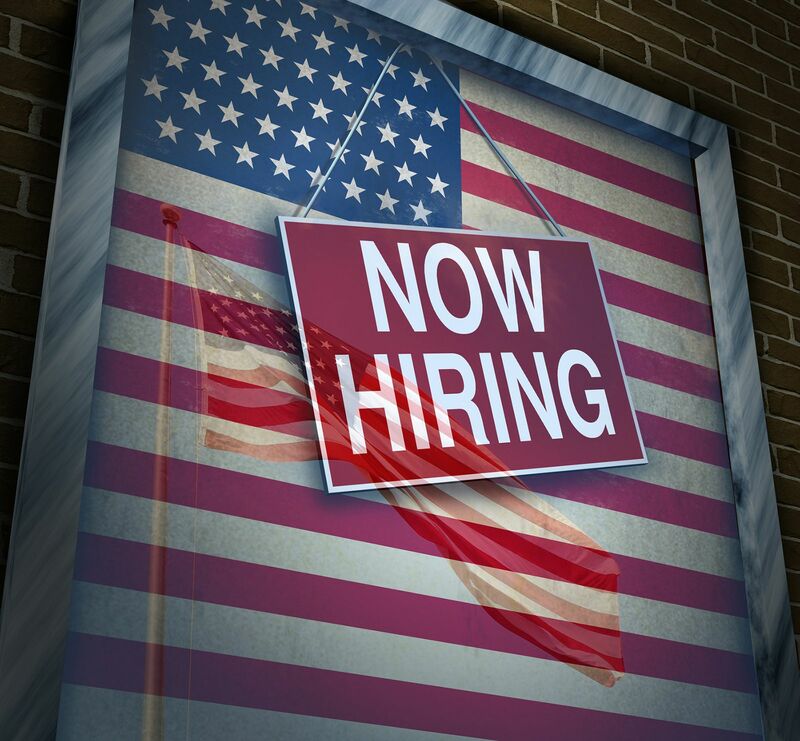 Hiring can become an even lengthier, costlier process for your business. The PEO can help you streamline the process and even lower the costs. The PEO’s better knowledge of hiring practices and the job market in the country of operation will help you find the right people when you need them and get them on board faster. Most PEOs provide benefits and administration services for their clients. What you may not have realized is partnering with a PEO on benefits is actually more economical for your business. In essence, the PEO can save you money on the benefits you provide, allowing you to provide better benefits to your employees. How does it work? It’s an economy of scale. You may manage 50 or 100 employees. The PEO, on the other hand, is managing thousands of employees. As a result, they’re purchasing insurance and other benefits for many more people than your business can. The PEO is usually offered a preferential rate. The end result is your employees get great benefits, and you save a little bit more money. Working with a PEO is also a great way to improve your risk management. As mentioned, your HR team might be very talented and knowledgeable. When it comes to operating in Canada or another foreign country, however, you can’t reasonably expect them to know the ins and outs of every law and regulation. This can cause trouble for international firms. You may unknowingly break a rule, and then later be penalized for it. This happens in payroll all the time. The CRA will assess fines and audits, sometimes over things you weren’t even aware you were doing wrong. No one expects you to have encyclopedic knowledge of Canadian laws. Even some Canadian business owners and HR professionals need a helping hand when it comes to ensuring compliance. A PEO will help protect your business. Payroll management can be time-consuming. Hiring can be an intensive process, often drawn out over weeks or even months. Compliance is an ongoing activity, and as rules and laws are constantly in flux, you’ll be hard-pressed to keep up. All these tasks are important, and all of them can distract you from the other tasks that need your knowledge and expertise. Instead of getting caught up in them, pass them over to a PEO and allow the experts on their team to handle it. You’ll get hours back in your day. Working with a PEO has many benefits. If you think a PEO partnership could benefit your business, get in touch and discuss your options today. Whether you’ve been operating in Canada for a little while or you’re just undertaking your first Canadian business expansion, you’ve likely heard about the assistance available to international firms in Canada. After careful consideration, you’ve decided working with a Canadian professional employer organization (PEO) makes plenty of sense for your business. In fact, you may wonder why you didn’t make this move sooner. As you search for the right PEO for your company, you may wonder what you should expect from working with a Canadian PEO. Here are a few things you should look for in the experience. Most companies turn to PEOs for assistance with their human resources operations. You may decide you need assistance with payroll or you need more all-encompassing services. A PEO generally offers more than a payroll provider alone can. If you opt to work with a Canadian PEO, you can expect this comprehensive HR experience. The PEO can help you administer everything from payroll to benefits to vacation pay. They can help you hire and terminate employment as necessary. They can also help you monitor compliance and offer you advice on revisions to the laws affecting your operations. All in all, you can expect seamless delivery of HR functions. Since the PEO is responsible for almost all of these functions, they ensure cohesion and consistency in the work. Another thing you can expect from your Canadian PEO is expert advice. The PEO won’t just help you monitor compliance. They can actually work with you to devise a better policy to ensure your compliance. The people on staff at the PEO often have expert knowledge themselves. As laws changes, they can dig into their experience and their knowledge, and even research to help you determine the best path forward. If you’re concerned about avoiding an audit, the PEO can assist you in staying on top of your records and remitting your payroll on time. As provinces such as Ontario, Alberta, and Quebec reconsider their employment standards legislation, the PEO can help you devise a new policy to meet and exceed minimum standards for wages, workplace safety, and so much more. Many of the functions a PEO carries out on your behalf can be quite complex. Since they carry a legal dimension, they’re also very important. If you make a mistake, you could be on the wrong end of a CRA audit or facing fines. Other decisions impact you no less, as tax inefficiencies could lower your business’s profit margins. Working with a Canadian PEO can ease all these worries. Sometimes, when you hand off important business tasks to outside firms, you may find yourself worrying about them more. If the provider is late or makes mistakes, you may worry even more. With the best Canadian PEOs, this isn’t an issue. While there are sometimes unavoidable delays and mistakes happen to even the best, a good Canadian PEO is going to take steps to rectify mistakes as quickly as possible to ensure they don’t happen again and to communicate with you every step of the way. They’ll quickly put you at ease. The best Canadian PEOs are those that deliver the best service to their clients. They communicate, and they’re happy to discuss your services with you. They’re never short on advice, and if they’re unsure, they’ll help you look deeper into the subject. If there is a mistake, they’re going to make sure it’s resolved quickly and easily. In short, you can expect great customer service when you choose to work with the right Canadian PEO. Do your research and consider your options carefully. The right PEO is out there.